Kings of Leon bassist Jared Followill confirmed that the band has finished recording their sixth LP, which should see release this September, NME reports. 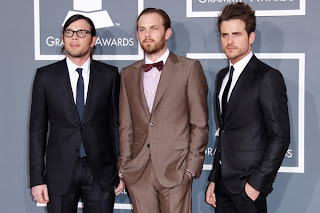 "I thought we were going to make a really mature album but I'm amazed how youthful it sounds," Followill told the magazine, adding the album is currently being sequenced. "It's like a mix of Youth & Young Manhood and Because of the Times," he said, referring to the group's first and third LPs. The still untitled album will mark the group's first since 2010's Come Around Sundown. 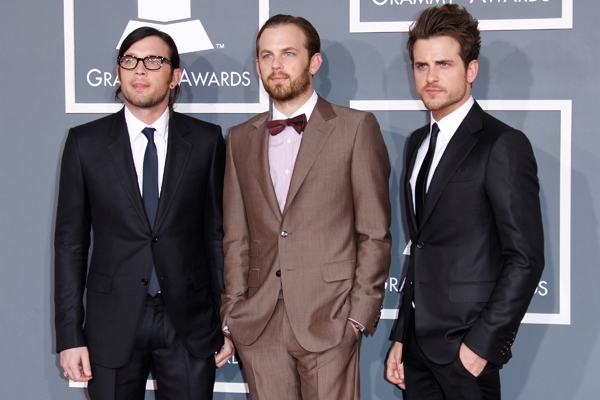 Since then, group members Nathan and Caleb Followill have both become fathers; while Jared got engaged and released the debut EP of his Smoke and Jackal side project, which he started with longtime friend Nick Brown. Back in September, the youngest Followill told Rolling Stone the band was beginning work on their new LP, saying: "We're just trying to have fun with it and just have a relaxed-type thing." Those anxious to hear new tunes before September will probably get the chance when the group hits the road for a handful of dates this summer, including headlining spots at festivals like the Governor's Ball in New York City in June, and the U.K.'s V Festival in August.